Happy New Year! It’s hard to believe that we started Dispatches from the Field four and a half years ago, back in June 2014. Where has the time gone?!? 2018 marked a busy year for all of us. 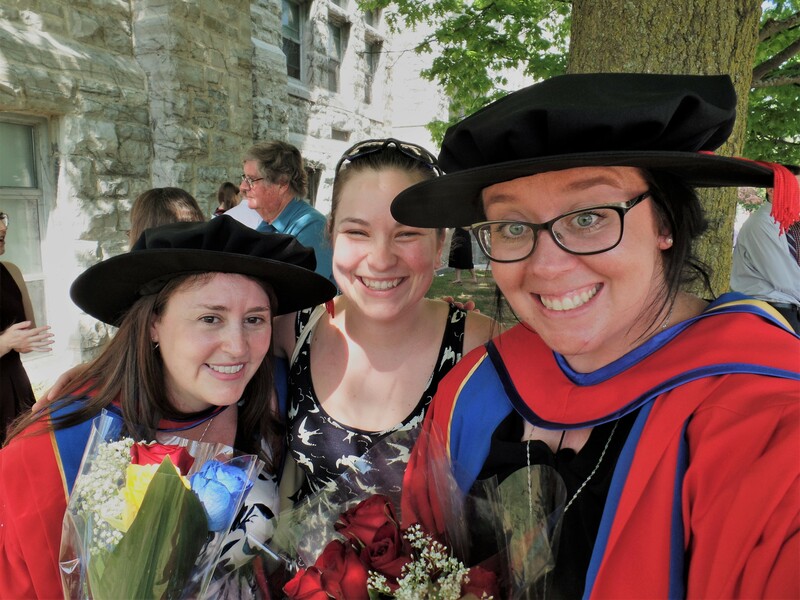 Catherine and Amanda both received their Ph.D. and started new jobs, while Sarah started a Ph.D. That didn’t stop any of us from getting out into the field though! Some of our notable blog posts from this past year include Catherine learning to love mornings, Amanda falling into a swamp, and a fox getting the better of the nests at Sarah’s study site. We’re excited to have welcomed guest bloggers who added new markers to our map, including Ecuador, Costa Rica, and Israel’s Red Sea. We also learned what a real field work resume might look like, the (maybe not so) best way to make a first impression, and how to fall in love with fieldwork. We shared some sentiments familiar to anyone who does fieldwork (for example, You’ve got to be kidding me!) and learned some new sayings appropriate to situations such as having all of your gear washed out to sea (Morabeza!). And a number of our posts raised important issues, such as what it’s like being a parent in the field, the importance of citizen science (first, second), and how fieldwork is more than just data. I guess time flies when you’re having fun! Stay tuned for more of the good, bad, and ugly of fieldwork on Dispatches in 2019. We will be posting every other week to give everyone more time to enjoy each story! If you’re interested in submitting a guest post, please email or tweet us! Catherine (left) and Amanda (right) receive their official Ph.D. documents! Finishing the degree was worth it to wear the red robes & funny hats (and to collect lots of funny field stories! ).